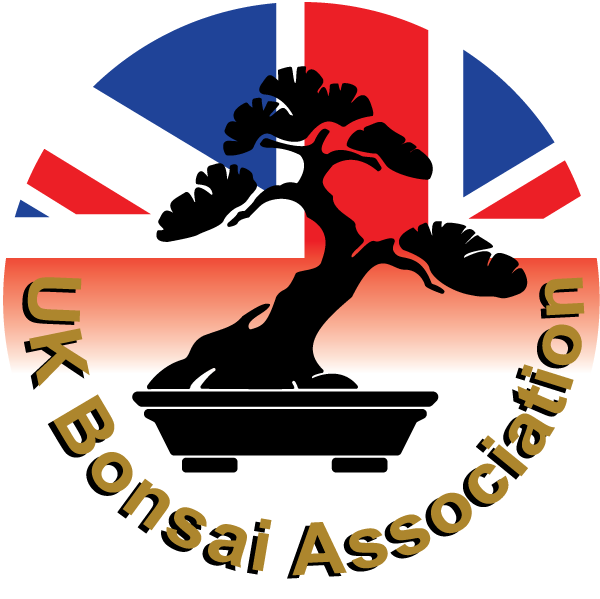 Southend Bonsai Society hosted their 40th Anniversary show on Saturday 2nd March, at Hullbridge Community Centre. 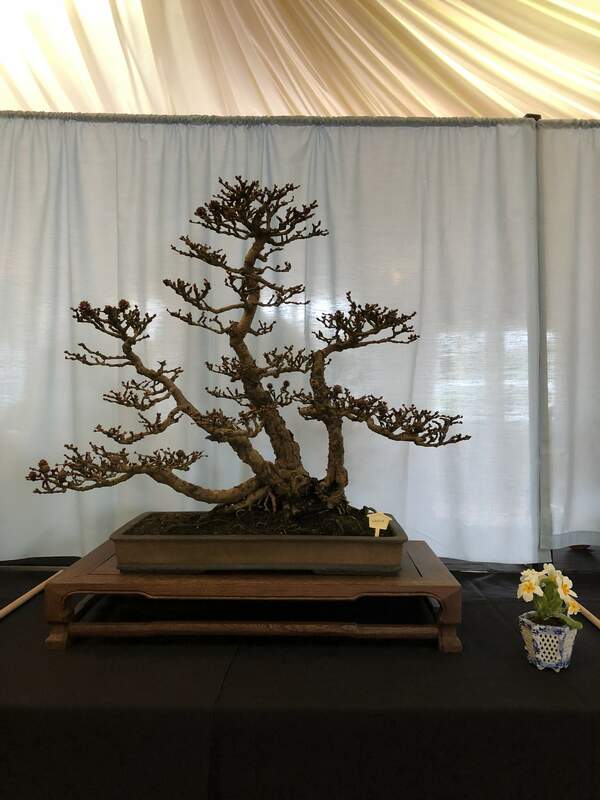 The show consisted of 36 individual trees and 2 Shohin displays. The quality of the trees submitted is to be commended. 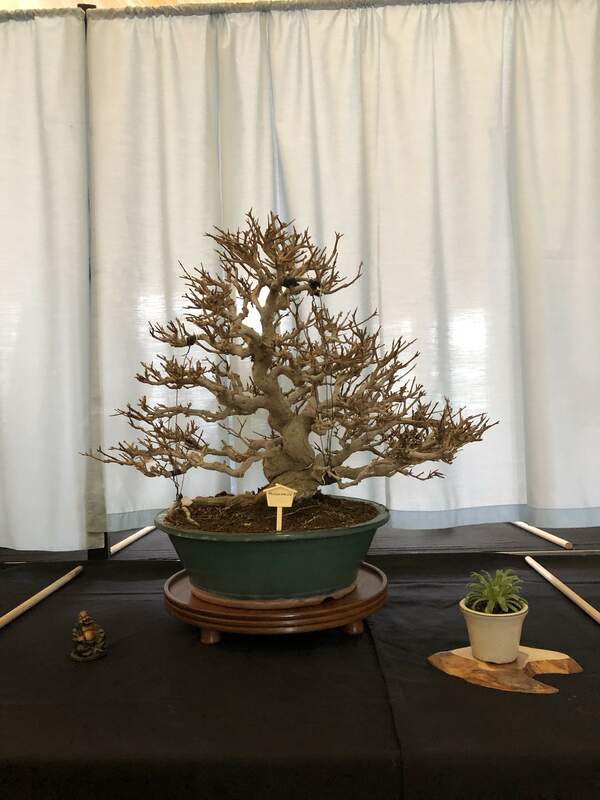 Rod Cordeiro, a new member who is not yet familiar with all the members and their trees, was asked to judge the show, and two awards were presented to; Pam Young, for Best Deciduous Tree for her Pomegranate, and to Danielle Hunt for Best Evergreen Tree for her Juniperus Procumbens, well done to both members. All the members who turned up at 8.00am to assist with the setup of the display tables, those who stayed all day and assisted the members of the public with any questions and helped to break down the display after the show had closed. Dave and Linda, for providing a selection of trees, pots and tools for sale and for manning the sales table. Alison for the ‘Savory’ selection and Margaret and Norma for providing the cakes and manning the refreshments table, a total exceeding £80 was taken on the day. Unfortunately, the turnout was disappointing, with only 30 paying visitors, even though every effort had been made to publicise the event in advance, through; Show Flyers, Fobbs event listing, direct mailing to other local clubs, (Bury, Dai-Ichi, Ipswich, North London…), and by word of mouth through friends and family. 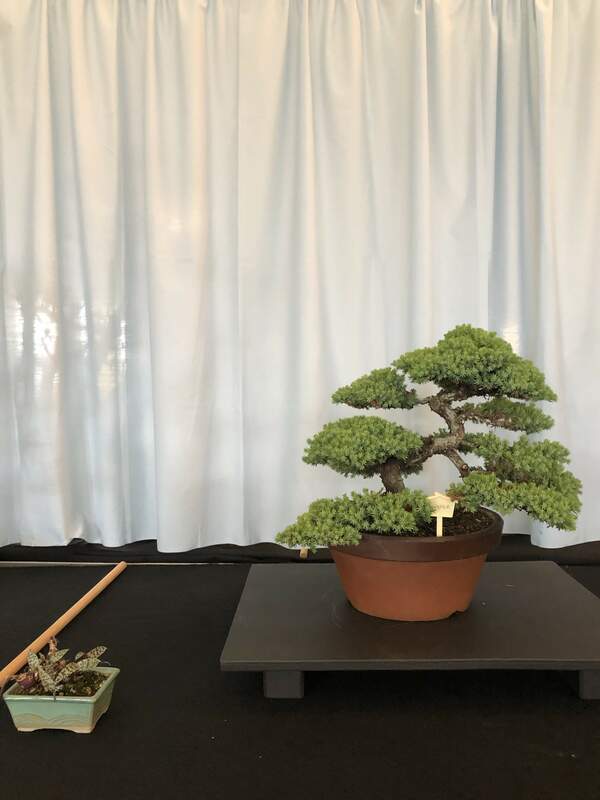 Hoping for a better attendance at our next show.